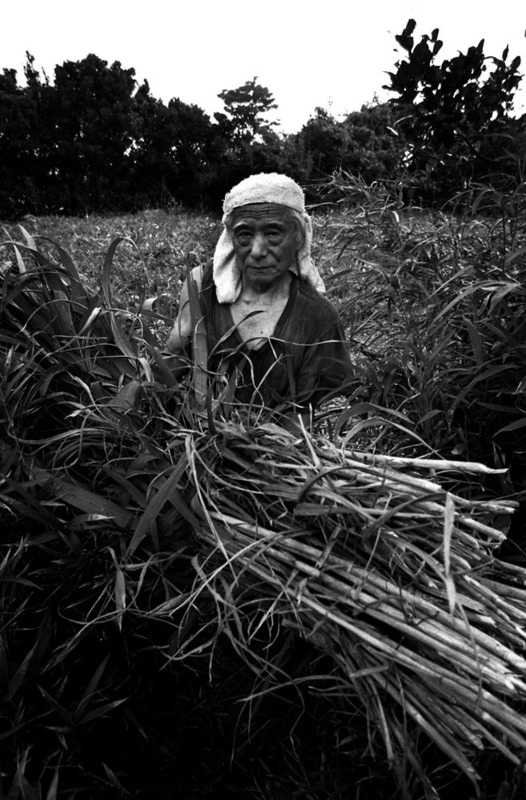 Manichi Yamashita,76, a dairy farmer,with fodder, Nakanogo district. His son, also a dairy farmer, committed suicide. "I am taking care of his plot now," he said.